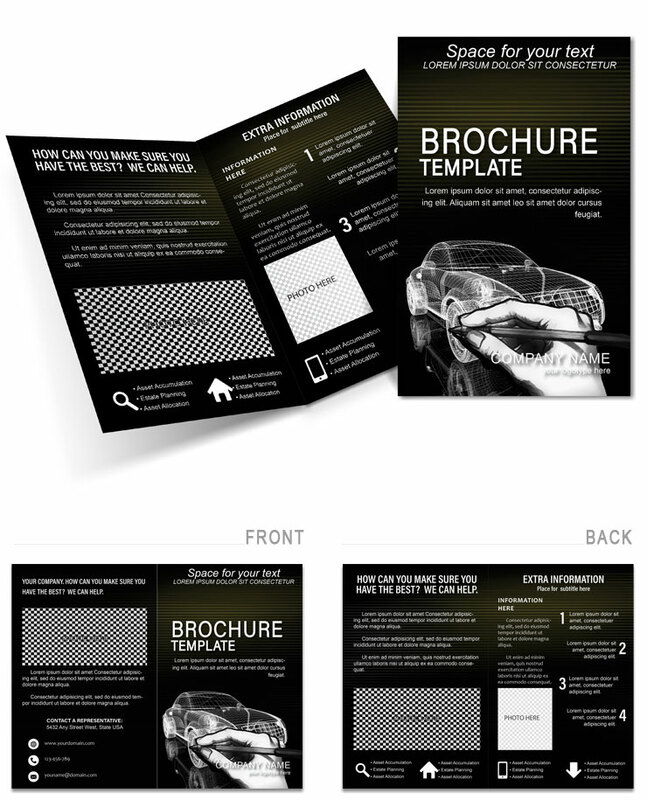 Car 3D Drawing and Sketching Brochure template designed for provide information on diagrams, drawings, and their simulation in 3D. Brochure shows effective computer support for drawing courses, computer science and geometry-based programs. Download Car 3D Drawing and Sketching Template for Brochure!